Happy Independence Day, Steeler Nation! Thanks to Bill & Kathy for suggesting this patriotic pun. Yinz remember Louis Lipps? Wide receiver for the black & gold from 1984-1991, Lipps was a two-time Pro Bowler and 1989 team MVP. He's also a Leo (like me!) and has a funny name. 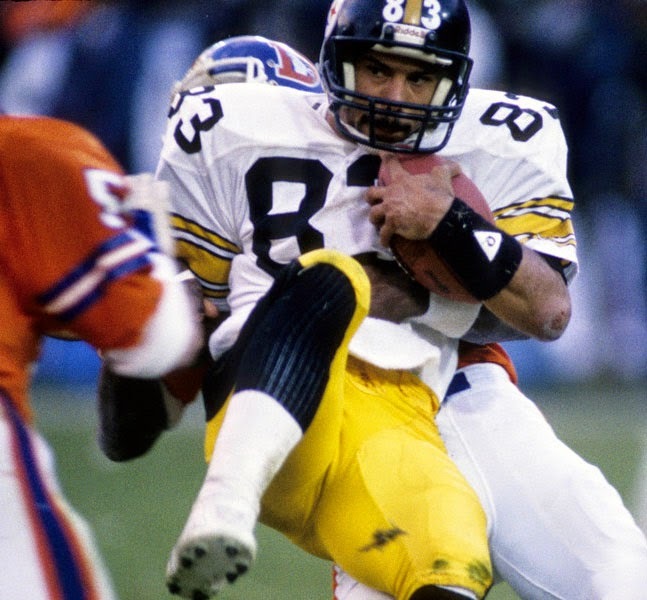 Lipps is another one of the many retired Steelers to stay in the 'Burgh long after he left the field. 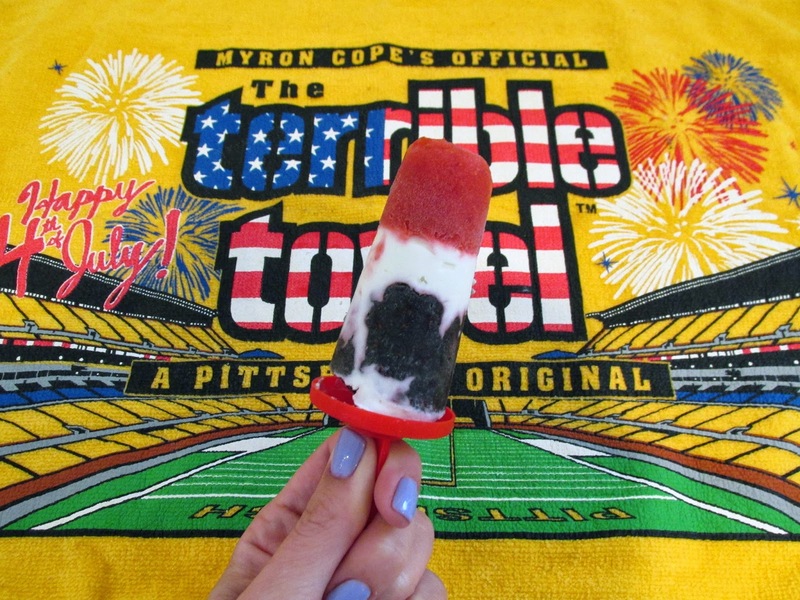 He even hosts a day-long tailgate party at Heinz Field one home game every season. On to the Red, White & Blouis pops! I picked up the recipe from the Food Wishes blog ("Video Recipes with Chef John") without making any adjustments. If you're attempting these pops and want to see his step-by-step, check it out here! He even makes a joke about how bad Philly sports teams are in the video - bonus points in my book. One of the highlights of this recipe is that it uses so few ingredients - strawberries, blueberries, cream cheese and vodka. Bench the alcohol if you prefer, and the pops will still be sweet, fruity and delicious. 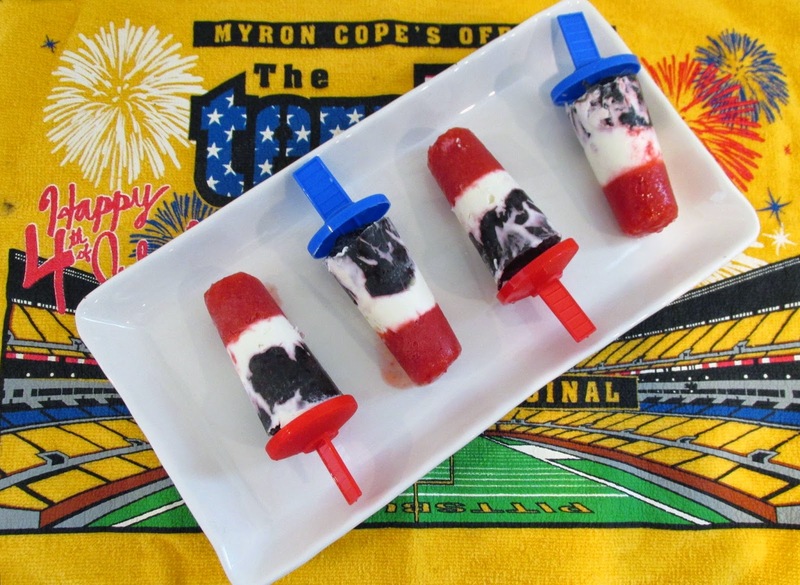 These pops take a few hours, as each layer needs to freeze solid before adding the next. Combine sugar and water in a saucepan over medium heat to make simple syrup. Whisk together until sugar has dissolved. Remove from heat. Combine strawberries, simple syrup and vodka in food processor or blender. Pulse until smooth. 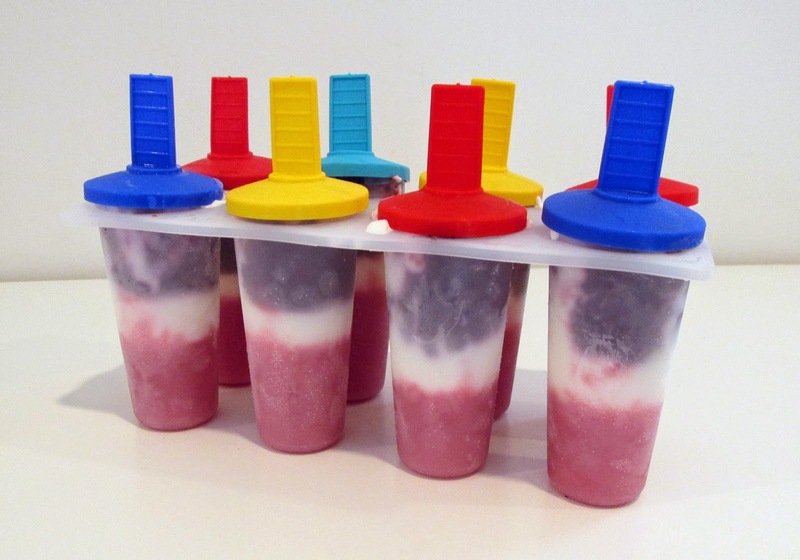 Spoon mixture evenly into popsicle molds (paper cups work too!*). Freeze for one hour. Once the strawberry layer is firm, whisk together cream cheese, simple syrup and vodka until smooth and creamy. ** Spoon cheesecake layer into molds. Tap molds gently on counter to help the cheesecake layer settle and eliminate air bubbles. Freeze for another 45 minutes until second layer is firm. Combine blueberries, simple syrup and vodka in food processor or blender and pulse until smooth. Spoon mixture evenly into molds until full. 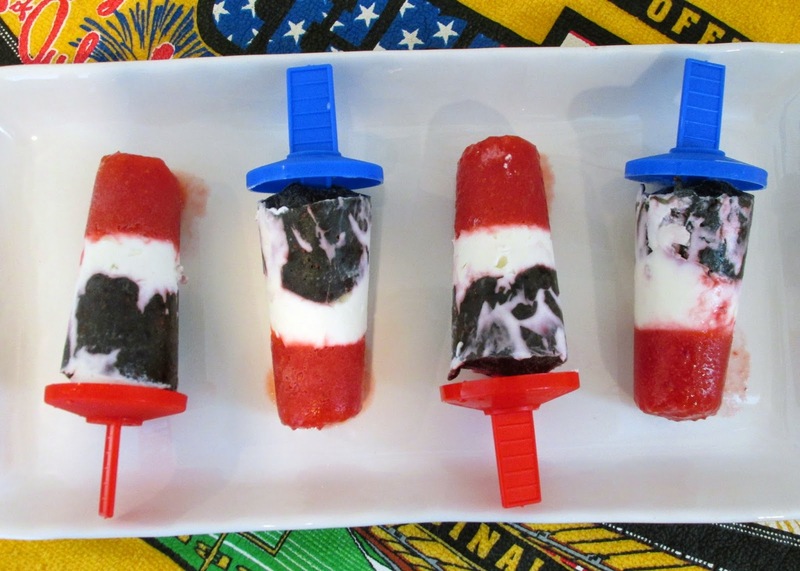 Insert popsicle toppers and freeze overnight. *If using popsicle sticks rather than molds with toppers, insert sticks before freezing strawberry layer, then spoon second and third layers around sticks. **To make non-alcoholic, adjust simple syrup to 2-2 1/2 tbsp in cheesecake layer and omit vodka from all three layers.